FARMINGTON - Jeannette F. Cormier, 79, of Dixfield, passed away on Sunday, Dec. 2 at Sandy River Center in Farmington. She was born Dec. 1, 1939, in Mexico, a daughter of Leon H. and Bessie P. (Sotman) Harmon and was a 1958 graduate of Mexico High School. On Nov. 28, 1959, she married the love of her life, Neri, and they recently celebrated 59 years of marriage. Jeannette had two beloved children Eric and Sonia and cherished being a mother. She spent many years traveling all over Europe with her family as a proud Army wife. She settled back in Dixfield in 1975 with her family. Jeannette was especially known for her big heart and loving ways. She thoughtfully coordinated many family get togethers and celebrations, especially Christmas. She enjoyed watching wildlife and creating memories with loved ones at the family camp on Webb River Falls. She kept busy with knitting beautiful creations, building puzzles, and playing dice/card games. She was passionate about decorating her parlor with angels and always changed the look along with the seasons. 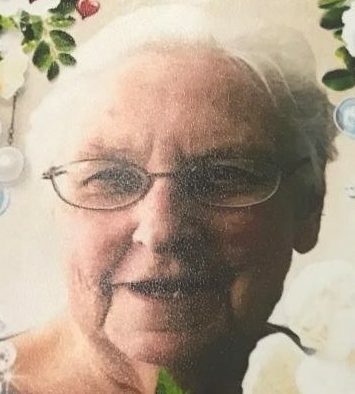 She was a member of the Dixfield Fire Company Auxiliary for many years. Jeannette was particularly known for her curtain obsession. In her late years, you could find her peacefully humming in her chair and looking out the window to see her flowers and birds. She will be forever remembered by her husband Neri Cormier of Dixfield, daughter Sonia (Jon) Blaisdell of Dixfield; grandchildren, Jessica (Chris) Johns of Freeport and Kyle (Jenna) Blaisdell of Dixfield; three great-grandchildren Brayden, Logan and Jace; sister Joan (Norman) Robichaud of Rumford; brother William (Martha Dunn) Harmon of Sumner; nephew and nieces, Steve, Terry, Melinda, and Matt; She will forever be remembered by so many treasured lifelong friends and extended family. Jeannette was predeceased by her dearest son Eric in 1979. A celebration of life for Jeannette will be held on Saturday, Dec. 8, at 11 a.m., from the Dixfield Congregational Church, 16 High Street, Dixfield. A hot meal will be served for all following the service. In honor of her favorite color, please consider wearing something red. In lieu of flowers, the family asks those who desire to please also bring a keepsake ornament if you would like to contribute to her memorial Christmas tree. Interment will be at Greenwood Cemetery on May 10, 2019 at 10 a.m.
Condolences and tributes may be shared on her memorial wall at www.wilesrc.com. Cremation care and memorial services are being provided by the Wiles Remembrance Center, 30 Weld Street, Dixfield.